Christmas in Paris is a holiday of traditions. Neighborhood lights are strung, making the City of Light shine brighter. 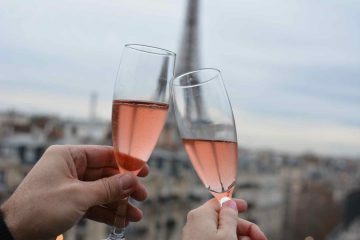 The familiar tunes of Christmas ring out from churches, and Parisians are full of cheer, especially because of all the wonderful food and drink that mark the holidays. Everybody has a tradition or two that they hold dear this time of year. Since moving to Paris four years ago, my favorite Christmas tradition is seeing the tree and windows at Paris’ grandest department store — Galeries Lafayette Haussmann. 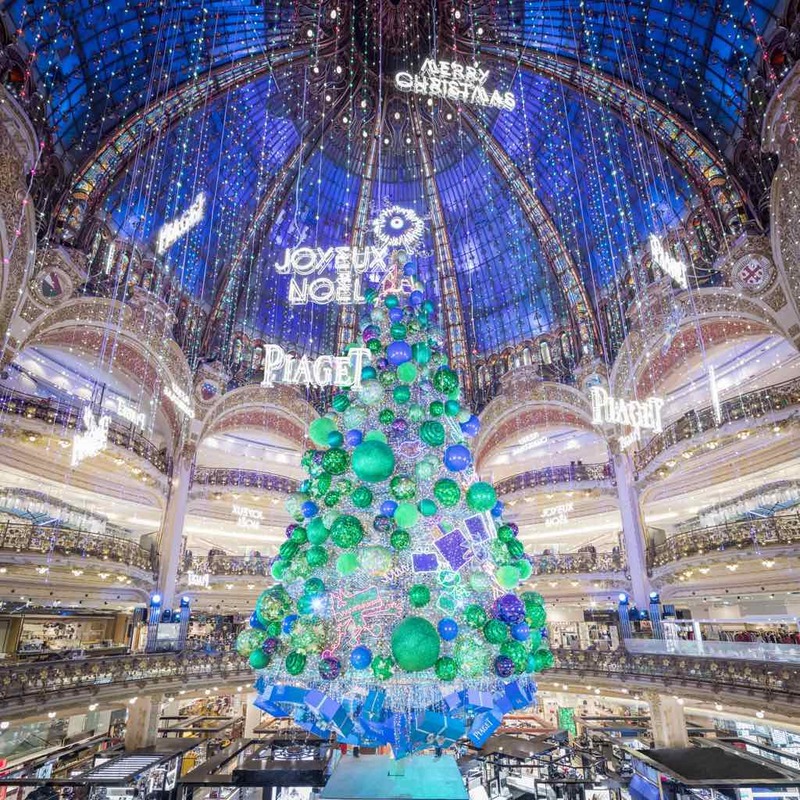 The holidays are a magical time of year in Paris, and Parisians know that the Christmas displays at Galeries Lafayette are much anticipated for young and old alike. The department store is known for using a new holiday theme and a number of special events each year, but this year, they left the decor up to the kids. The annual inauguration of the Christmas tree is the unofficial start of the holiday season. This year’s event took place on Nov. 7, but you can stop by anytime before Dec. 30, to admire the Piaget tree, browse the window displays, or experience a number of holiday events. 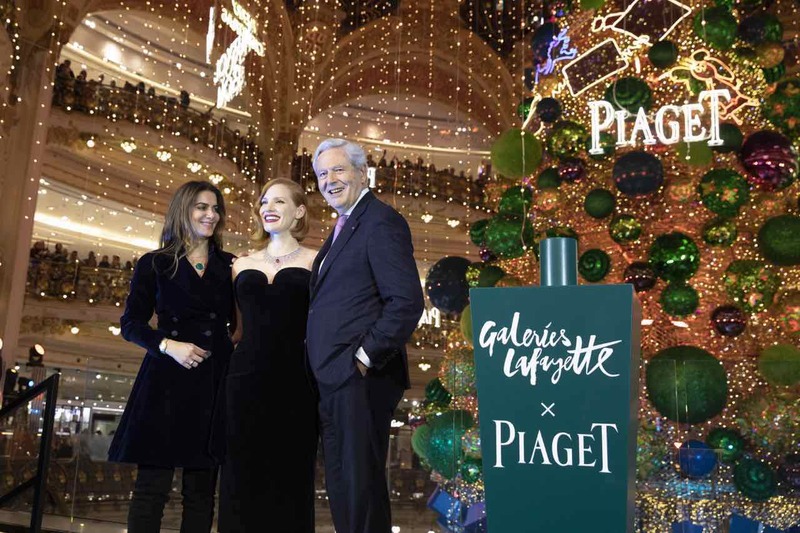 This year’s event featured Jessica Chastain, the ambassador for Piaget, a luxury jeweler and Swiss clockmaker. Visitors enjoyed the revealing of the window displays, as well as a showcase by Kids United Nouvelle Generation. 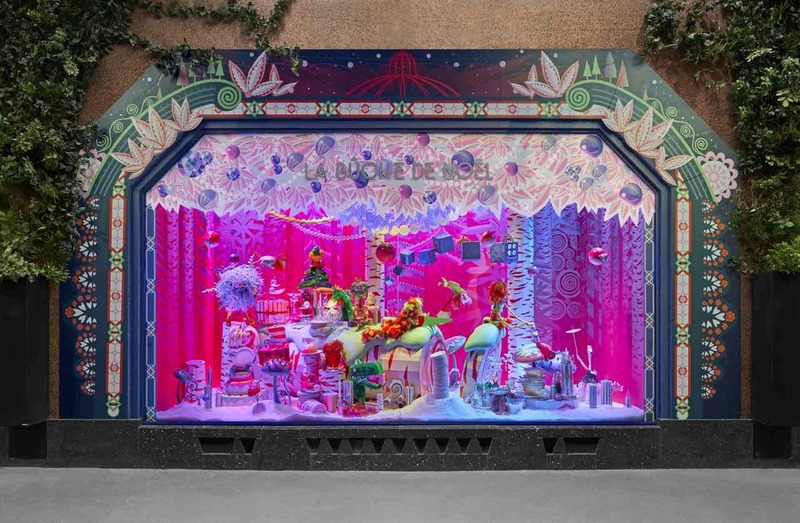 This year’s holiday display is unique, because Galeries Lafayette passed the creative reins to the kids. Little ones between the ages of 5 and 11, were invited to draw their Christmas heroes, and the favorite drawings were transformed into stuffed toys that have been set in the iconic holiday window displays. Eleven toys, based on the kids’ drawings, don the windows of Father Christmas’ village, the gift shop, and more. The creative creatures offer a colorful and fun twist on holiday decorations that must be seen. 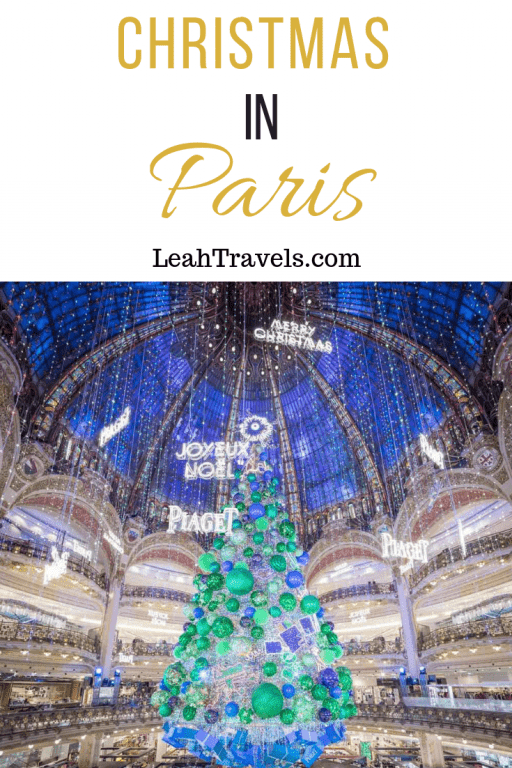 In addition to admiring the tree, window displays, and all of the magic of Christmas under the dome, visitors to Galeries Lafayette can enjoy a long list of holiday exhibitions and events. Wizarding World will serve as a celebration of the 20th anniversary of the first Harry Potter book; the Christmas choir will be on site; and Galeries will be celebrating the season with a cycle of exhibitions based on the fairy tale, Tomorrow, the Chimera Ship. Magic spell lessons, chances to meet Santa, and countless other surprises await kids and adults alike. 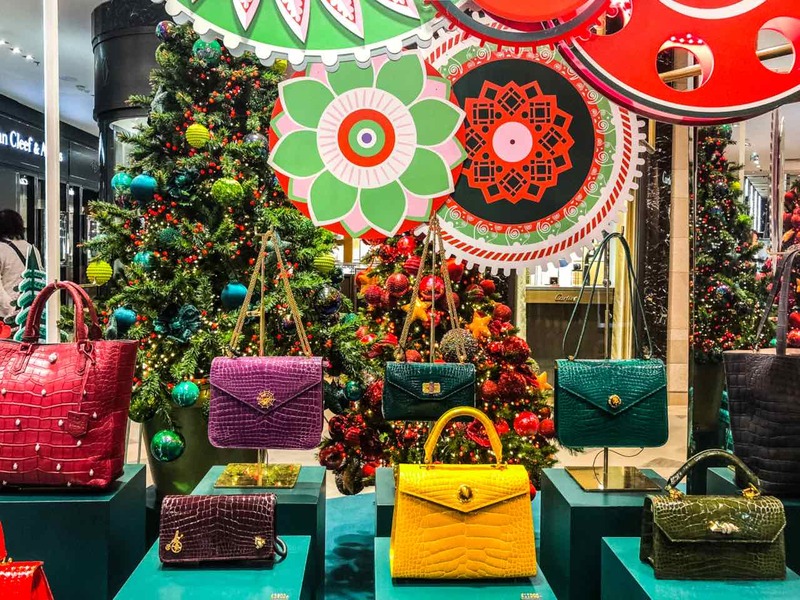 Christmas is right around the corner, and there’s no better place to rediscover your holiday cheer than at the famous Galeries Lafayette. To experience the 2017 Christmas in Paris at Galeries Lafayette, see my article in USA Today’s 10 Best. And for 2016, see my article on BonjourParis.com. Joyeux Noël! This post was brought to you by Galeries Lafayette. Beautiful photos ! Keep going !